The Okinawan people migrated from Okinawa, Japan to North America. The Okinawa islands consist of Okinawa-jima, the most populated island with over 1.2 million, and four smaller populated islands: Iheya-jima, Izena-jima, Ie-jima and Kume-jima. 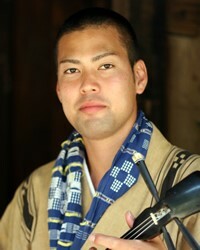 Being “Okinawan” comprises various essential symbols and rituals. These include various words and phrases in the now almost-obsolete Okinawan dialect, an Okinawan name, various Okinawan dances and music and Okinawan food. There are also several definitions of the Okinawan character in that Okinawans are not punctual, but happy, lively and more upfront in coversations than Japanese mainlanders. Traditional Central Okinawan foods consist of tofu champuru (stir-fried tofu and vegetables), somin champuru (stir-fried noodles and vegetables), and sunui (seaweed in vinegar). Okinawan Buddhism is mixed with a variety of animistic practices. The evangelical presence among Okinawans worldwide is less than 1%. Pray Okinawans will listen as God works to bring them to himself. Pray Christians will intentionally form relationships with Okinawans, invting them into their homes to experience Christians living out their faith in word and deed. Pray for the few evangelical Okinawans to grow strong in their faith, sharing Christ with their family and friends.